Scott stays on top of the fish! See many pictures of our happy customers catching trophy fish! Wondering what to bring? What is included in your trip? Or any other question? Check this page out first! 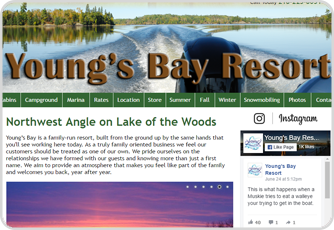 Contact us today to book your fishing adventure on Lake of the Woods! Or call 218 791 6953! 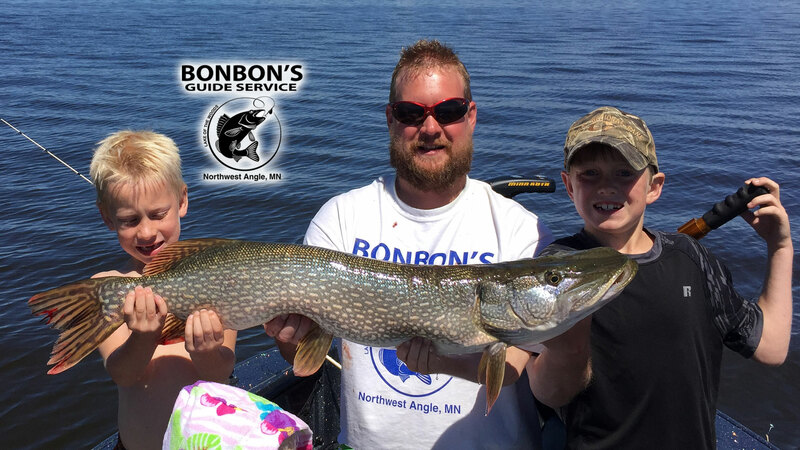 BonBon's Guide Service is located on pristine Lake of the Woods at the Northwest Angle, one of North America's premier boating and fishing destinations. With direct access to both Canadian and US waters, Lake of the Woods and it's incredible 14,522 islands promises an incredibly beautiful and rugged landscape that stretches across a vast undisturbed wilderness for you to explore. The lake is renowned as a world-class fishery, providing hundreds of thousands of pounds of walleye annually. In addition to walleye, Lake of the Woods has sauger, lake trout, smallmouth and largemouth bass, muskie, jumbo perch, sturgeon, northern pike and plenty of crappie. 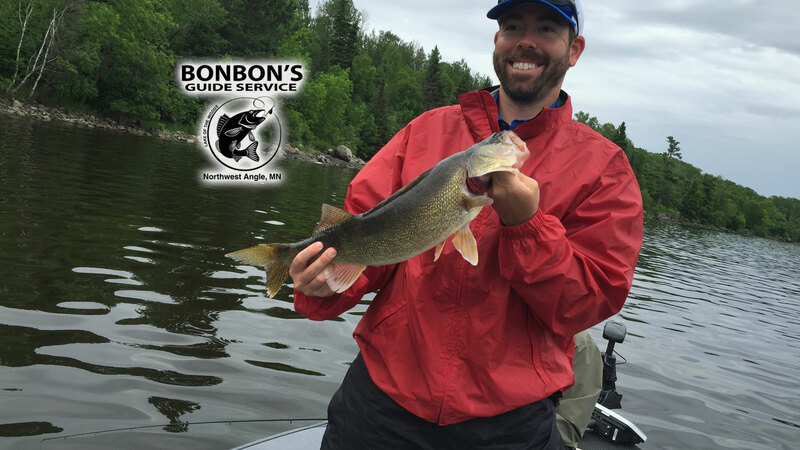 BonBon's Guide Service, conveniently located at Angle Outpost Resort provides comprehensive guided fishing trips from May through October. 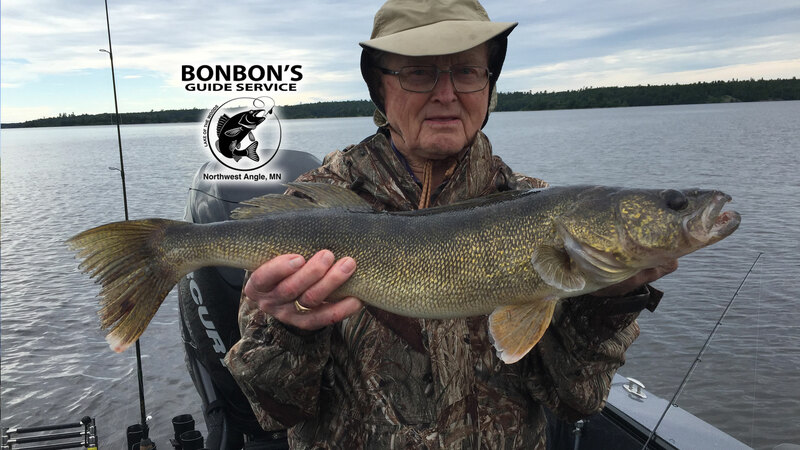 Fish with the best as Bon Bon (Scott Baumgartner), a licensed Coast Guard Captain, will guide you to some of the best honey holes on the lake, prepare a delicious shore lunch with your catch, and safely bring you home at the end of the day with your limit. Whether you are a seasoned angler, or are just starting out, you're sure to have an unforgettable fishing experience. 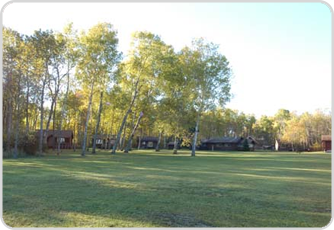 Check out these lodging partners at the Northwest Angle! 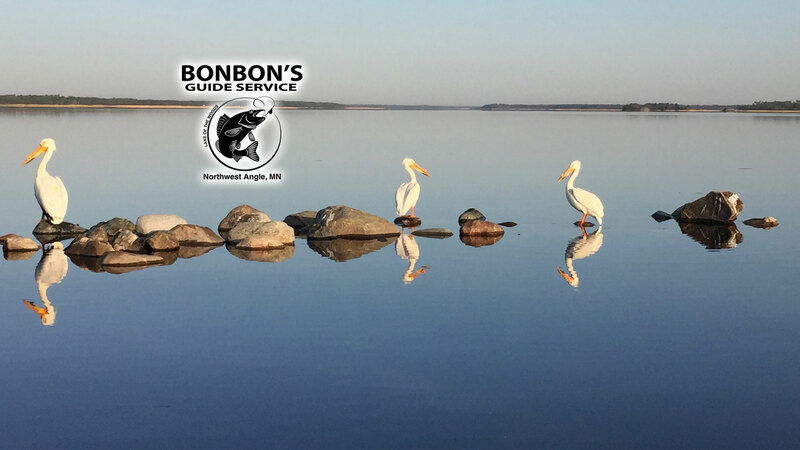 BonBon's Guide Service is located on pristine Lake of the Woods at the Northwest Angle, one of North America's premier boating and fishing destinations. (Could link to ‘location” for brevity) With direct access to both Canadian and US waters, Lake of the Woods and its incredible 14,522 islands promises an incredibly beautiful and rugged landscape that stretches across a vast undisturbed wilderness for you to explore. 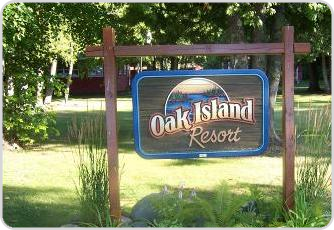 The lake is renowned as a world-class fishery, providing hundreds of thousands of pounds of walleye annually. 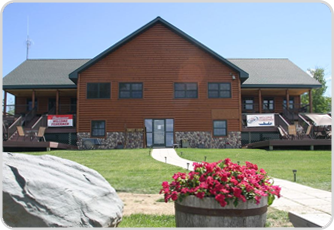 In addition to walleye, Lake of the Woods has sauger, lake trout, smallmouth and largemouth bass, muskie, jumbo perch, sturgeon, northern pike and plenty of crappie. 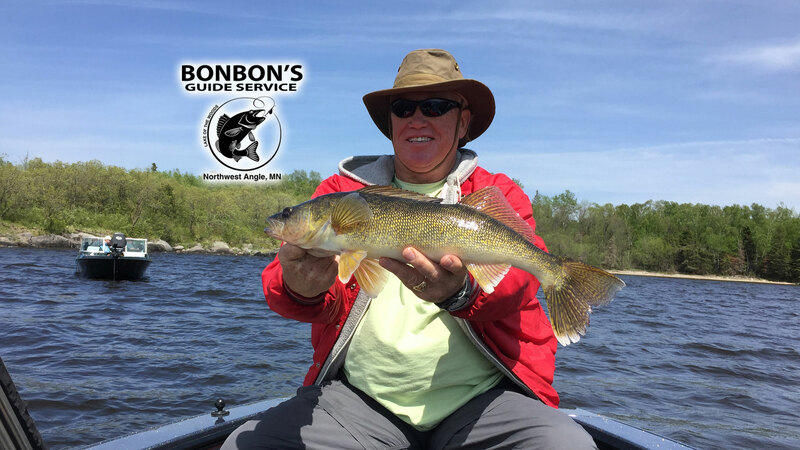 Scott “BonBon” Baumgartner will be your guide as you fish for everything from muskie to walleye. He is an excellent teacher and takes pride in sharing knowledge, technique and many fishing stories with his clients. Staying on top of the Fish! 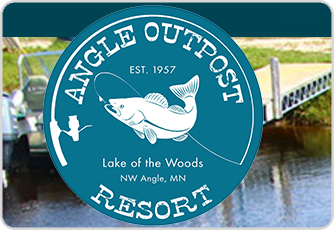 BonBon's Guide Service is conveniently located at Angle Outpost Resort and provides comprehensive guided fishing trips for anglers of all levels from May through October. 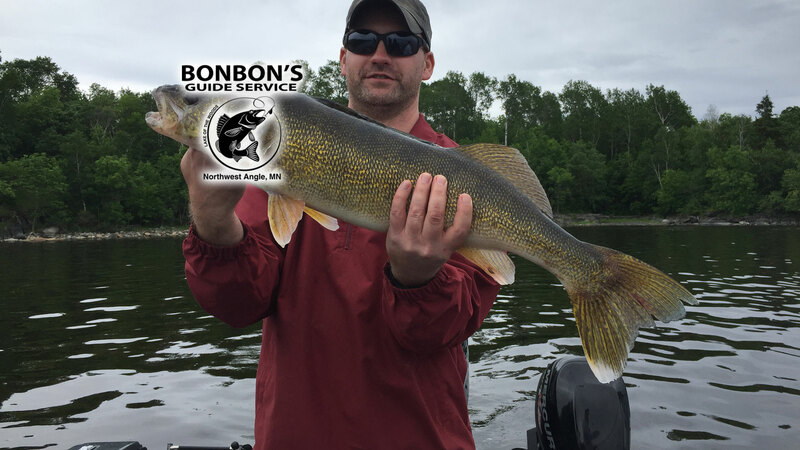 Fish with the best as BonBon (Scott Baumgartner), a licensed Coast Guard Captain, will guide you to some of the best honey holes on the lake, prepare a delicious shore lunch with your catch, and safely bring you home at the end of the day with your limit. Whether you are a seasoned angler, or are just starting out, you're sure to have an unforgettable fishing experience.